Someday, when I have munchkins running around the house, they'll be curious about dad's weird games. Dagger for Kids might be the perfect introductory product for them. 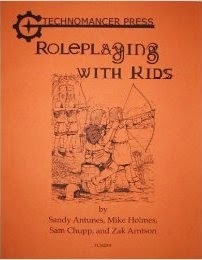 While I'm at it, I might grab Roleplaying With Kids for some good advice on the venture as well. This image is really "getting me" as far as inspiration goes. It reminds me of great swamp art from Magic: The Gathering, but it also makes me think of the swamp with all the dead bodies in Lord of the Rings... although I can't remember the name and I'm too lazy to look it up. 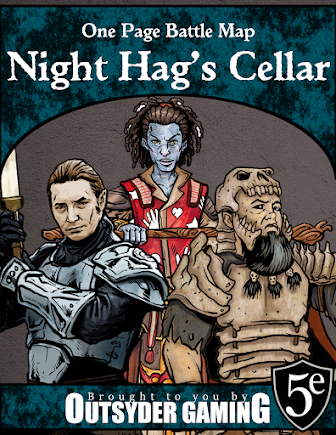 This kickstarter is one that I would have liked to see funded, but it didn't make it. I think they were a little ambitious with their timeline, especially considering the seven day period they ran the project. If they had run it a full thirty days and gained some momentum, I think they would have made it. My fingers are crossed that they'll try again.